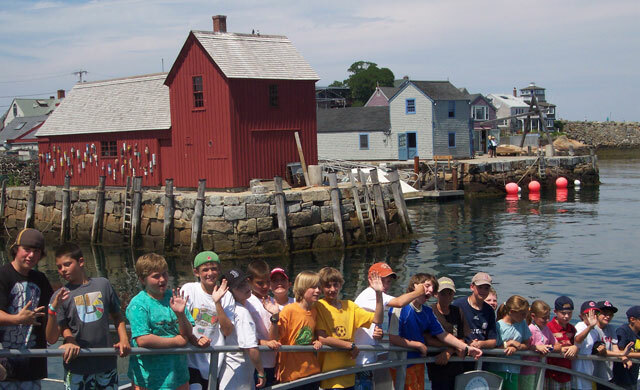 Coastal Discoveries kids boating program visits Motif #1 in Rockport, Mass. 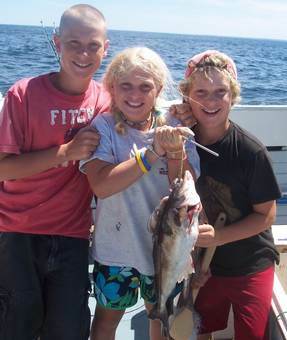 Discovering the joy of fishing aboard the Erica Lee II Studying safe boating during Coastal Discoveries. It's a keeper! 31" striper caught aboard the Erica Lee II during our summer program. The Tall Ships visited Salisbury, and the Erica Lee II was there to greet them with a boatload of curious youngsters. 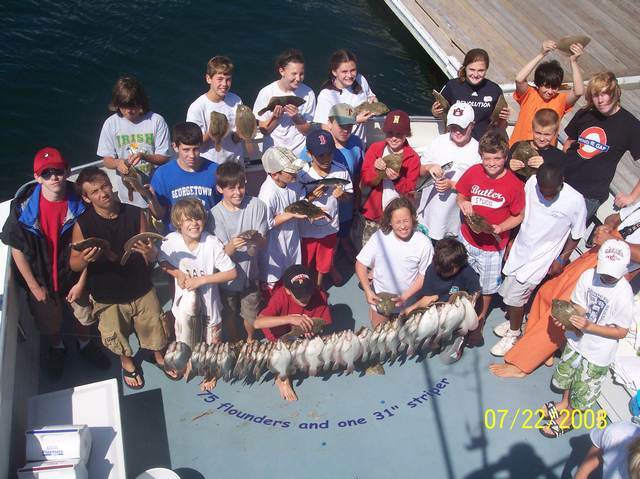 An amazing flounder derby aboard the Erica Lee II - a total of 75 flounders were brought aboard in one and one-half hours! Our crew member, Eric, and kids aboard the Erica Lee II while visiting the Tall Ships in Salisbury. Our highliner of the week poses with her brothers aboard the Erica Lee II. No flounder derby is complete without a picture of the largest fish - a 16" beauty. teens during one of our "teen only" weeks. COASTAL DISCOVERIES, was owned and operated by the Yeomans family of Newbury since 1988, and is now run by Beth and Bob Bishop. 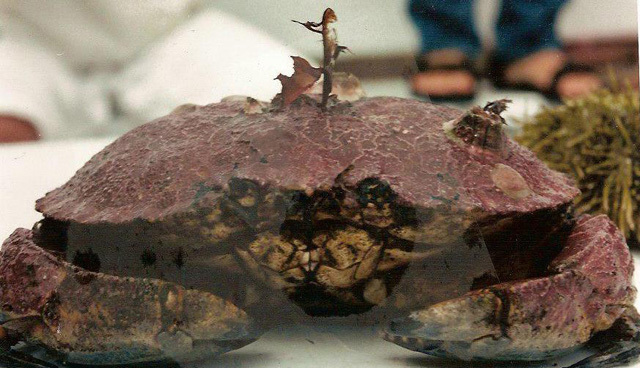 It is a one-week, maritime adventure and marine education program for kids aged nine and older. Each summer, nearly 400 kids participate; while most are from the greater Newburyport area, we have had children from: Russia, France, Scotland and Sudan, as well as Arizona, Louisiana, California, Pennsylvania, New York and Wyoming. 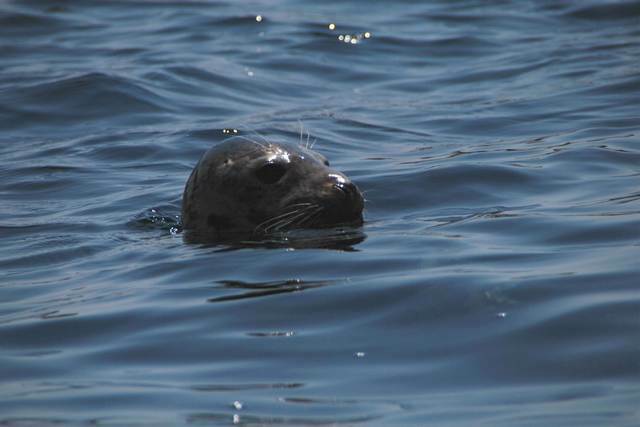 Held aboard our floating classroom, the Erica Lee II, we spend the week discovering the unique and fascinating history and ecology of our coastal waters, from the Merrimack River estuary to the Isles of Shoals, Jeffreys Ledge and Rockport’s Thacher Island. Fishing for: flounder, striped bass, mackerel, cod, haddock, ocean cat, cusk, pollock, bluefish. And stay cool with plenty of swimming and beach games! The week ends with an all-day beach and barbecue trip to Gloucester's Wingaersheek Beach, along the beautiful Annisquam River! Program sessions run Monday through Friday, 8:30 a.m. until 4 p.m.